Home / Products / FDK Batteries now in stock – Just what Braun ordered! 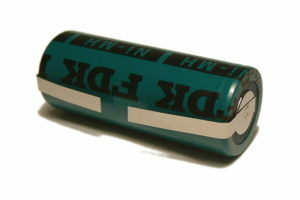 That’s right, we’re now stocking FDK batteries at ToothbrushBattery.com ready to fit to your toothbrush. So what’s the big deal? Well FDK are the current supplier of rechargeable NiMH batteries to Braun Oral-B for use inside their electric toothbrushes. If you have a Braun Oral-B toothbrush made in the last few years it’s highly likely that the original battery inside it is from FDK. 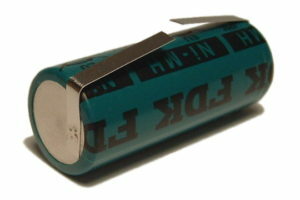 Prior to that the batteries were made by Sanyo – until Panasonic bought Sanyo and sold their Takasaki NiMH battery factory in Japan to FDK in 2010 who took over production and make the batteries to the exact same specification. So you can now replace the old worn out battery in your Braun Oral-B electric toothbrush that won’t charge any more with one of the exact same top-quality Japanese construction – guaranteed to recharge and run your toothbrush correctly. Have a look at our current FDK batteries either with centered tags for use in various toothbrushes including the Triumph v2 or with an offset tag especially for Triumph v1 models. Previous post: Repair Guide for Braun Oral-B Triumph v2 Toothbrushes Published!